So far PJ has created 39 blog entries. Following feedback from our customers, our range of alligator shears have improved again with the addition of features such as a Perspex viewing points within the guard to improve operator visibility, a foot cable guard to prevent damage and a potential trip hazard, and a new stroke adjustment lever which should make life easier when handling different sizes of materials. Also check out our range of New Global Alligator shears which are equipped with an all round metal casing to fully guard all moving parts. We think these improvements will help, and we hope you like them. If you have any other ideas of how our alligator shears could be enhanced, then please let us know. 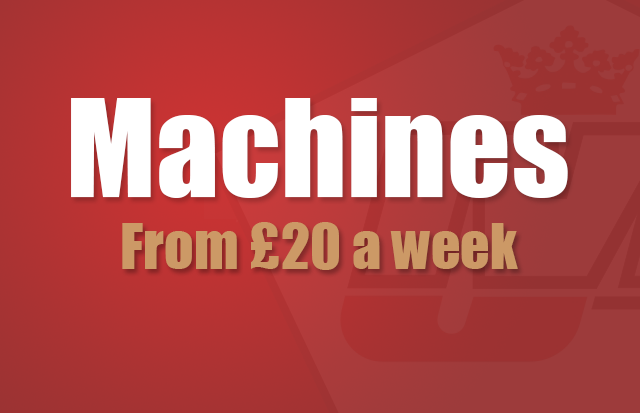 Machines from £20 a week! We have shears available from £20 a week, balers from £90 a week, and granulators from £127 a week. If you're based in the UK, why not take advantage of a leasing plan and let your machine start earning you money from the moment you press the start button? Because JMC machines are built to last, financing our equipment can be an excellent way to purchase a machine, free up cash flow and save tax in the process. So if you're looking for recycling equipment give us a call and we'll run you through some finance options. 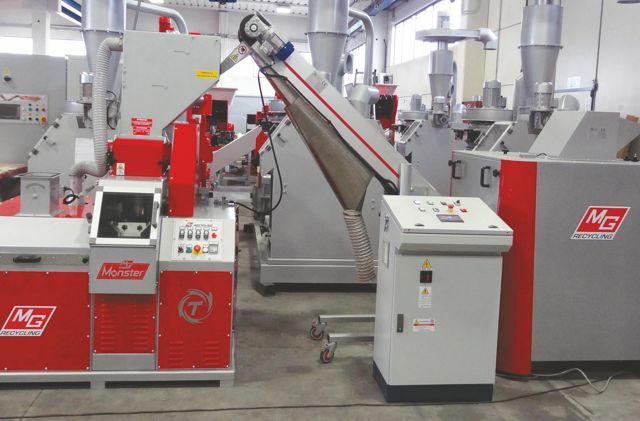 Although still perfect for household and other general cable types, when coupled with a purpose built shredder, dosing system and conveyors, the new Matrix Monster Evolution cable granulator will handle car looms at rates of up to 100kg per hour input. This latest product forms part of a range of granulator systems all of which are able to produce a high quality copper granulate, with the largest units able to handle as much as 3 tonnes an hour. Available exclusively in the UK from JMC. For further information contact Phillip on 011 5 9409630 . 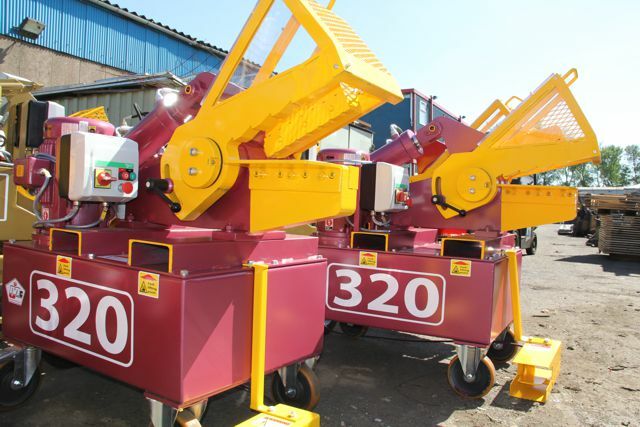 A container of 320 and 407 shears left the UK for the States today. So if you're in the USA and looking for an alligator shear let us know - they will be in stock shortly! It's official, our alligators are still the best! This one stood no chance against our new catalytic converter shear - seen here at the ARA automobile recycling show in Orlando Florida this week. Here's our latest reconditioning project. This Harris 3 ram baler was completed last week and has been delivered to its new owners. We would like to point out that they picked the colour. More reconditioned machines can be seen on this site, or have a look at our new website www.bestrecyclingmachinery.com. As well as machines listed, we have a whole array of equipment awaiting reconditioning, so phone us if there's something you're looking for and we'll see if we've got one!